It may not have mattered for March Madness 2019, but what if Seton Hall or FDU made it to the Final Four? Legal NJ sports betting would’ve been out of luck. Editor’s note: This is an opinion article. New Jersey has a gambling problem. But not in the way you’re thinking. It’s more about its approach to NJ sports betting and legal wagering on collegiate sports. More specifically, at least for this time of the sports calendar, as it relates to March Madness betting. The NCAA Men’s Basketball Tournament has tipped off. Over the next three weeks, 67 games will decide the national champion. Sportsbooks in Nevada and Pennsylvania, among other states, expect to draw ample business, hopefully, to make up for a down February courtesy of an underwhelming Super Bowl. New Jersey, though, will not have the whole gamut of March Madness games. The state’s 10 retail and 13 mobile sportsbooks are prohibited from offering betting markets involving NJ teams or games. When Gov. Phil Murphy signed the bill into law legalizing wagering in the Garden State, he signed off on several provisions. Athletes, coaches, referees and “other persons with potential influence or access to non-public information regarding sporting events” are prohibited from placing wagers on events overseen by the leagues in which they participate. Wagers on high school events or collegiate events held in New Jersey or involving New Jersey teams will not be accepted. The last of the three stand out, specifically the collegiate aspect. Even when NJ sports betting became legal, that bit of regulation appeared, well, interesting. A purpose of legalizing wagering, after all, is to capture those who use illegal means of betting. This regulation, however, still allows offshore operations to offer something New Jersey does not. During March Madness, the spotlight shines brighter on this prohibition. This is not a hot take: March Madness is a big deal. Like, a big deal. 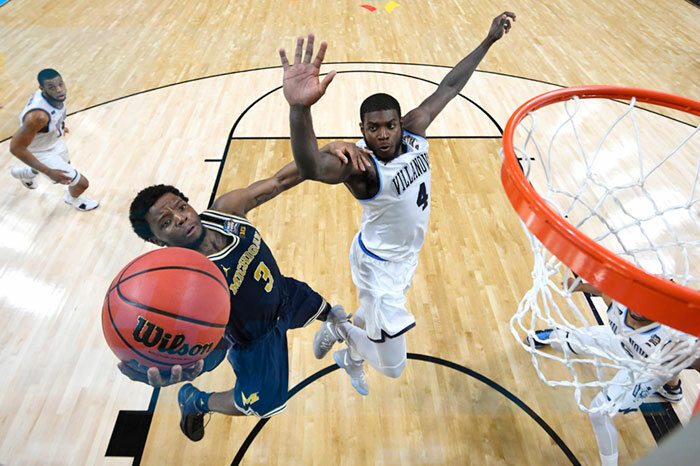 Rivaled only by the Super Bowl, the NCAA Tournament stands as one of the most popular, most-watched and most-wagered-on events in America. A recent survey from the American Gaming Association concluded that some 18 million adults would lay bets on the tournament. Of that total, a mere 4.1 million will use legal online or retail sportsbooks. New Jersey was, and still is, not doing its part. David Rebuck, director of the NJ Division of Gaming Enforcement, has long hunted the illegal sportsbooks. Well, here is that opportunity. Because the non-NJ teams rule, at this time of year, is just driving bettors toward out-of-state — even offshore — sportsbooks. Even so, NJ residents couldn’t take advantage. Two days ahead of Selection Sunday, the DGE released a statement reiterating the state’s law. 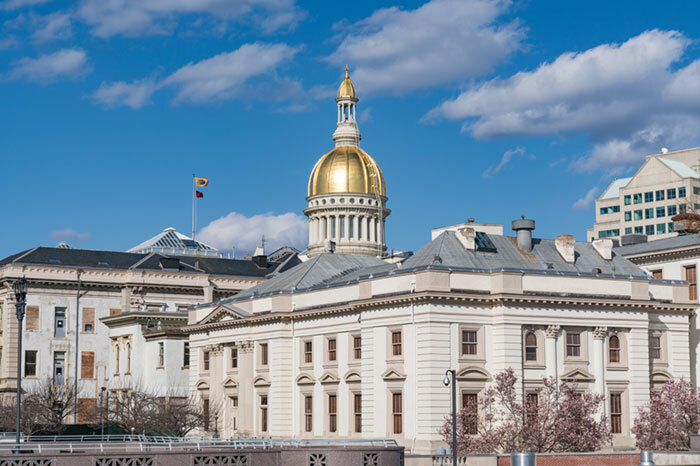 For the first time since legalized sports betting began in the Garden State, the exclusionary rule came into play in a real way. Start with traditional NJ sports betting. Sportsbooks outside New Jersey obviously listed Seton Hall and Fairleigh Dickinson as underdogs. SugarHouse Sportsbook in nearby Philadelphia, for example, listed the Pirates at +118 to win outright against Wofford. In Las Vegas, William Hill paid +3000 for a Fairleigh Dickinson victory. For the first time in history, some bettors might’ve actually considered more strongly taking a No. 16-over-No. 1 upset. And what a payday it would’ve been. But only outside of New Jersey. What has rolled out in the state, however, are bracket pools. DraftKings Sportsbook introduced its DraftKings Brackets feature, which includes a paid entry pool for NJ residents and a free-to-play pool for anyone in the country. Because users lay down money for the paid pool, DraftKings Brackets does not allow them to make a pick in games involving NJ teams. Even its free-to-play pool bars players from doing so. That said, FanDuel Sportsbook, SugarHouse Sportsbook, and Caesars Sportsbook NJ have free-entry bracket pools that allowed users to select NJ teams. This prohibition prevents customers from fully enjoying the experience, whether that be related to legal sports betting or filling out a bracket. The value of Seton Hall at a betting window could draw more action after all. And the joy of predicting, and eventually bragging about, a deep tourney run by the Pirates (or a 16-over-1 upset by FDU) goes unmatched. Consider, too, what this regulation would do if New Jersey returns as a host site for one of the tournament weekends. Should that occur, and if this regulation is still in place, NJ sportsbooks would not be able to accept bets on six games. Fortunately, state bookmakers do not have to worry about that just yet. The NCAA has already set sites through the 2022 tournament, and New Jersey is not included. NJ has essentially been blackballed since it began the process of legalizing sports betting eight years ago. New Jersey, though, wants the tournament to return. If so, the state needs to revisit its regulations. This is not to suggest the NJ Legislature should eliminate the “no NJ teams and games” rule completely. It’s a good rule. And let’s be reasonable: It likely won’t happen with a snap of a finger. At least in the interim. What New Jersey should do, however, is look toward New Hampshire. Within it are similarities to New Jersey. More important, though, is an addendum NJ should seriously consider if it won’t rid its books of the non-NJ teams and games regulation. Like New Jersey, New Hampshire would prohibit wagering on high school events and collegiate teams and events held within its borders. Basically, New Hampshire bars betting on its state teams or events held in the state. Come March Madness, however, that prohibition is lifted. Take note, New Jersey. Allow the masses to enjoy all of March Madness. Not just pieces. DraftKings Sportsbook launched a March Madness bracket contest in NJ plus a nationwide free-to-play bracket contest with $164K in total prizes. Back in the day, apple pie and baseball represented the all-American experience. Today, especially this time of year, it’s all about filling out March Madness brackets. The sheer joy of bragging about a predicted upset. The glee that comes with boasting about sitting atop your pool after each game. The feeling of invincibility when you actually win. Now, DraftKings Sportsbook in New Jersey is adding a monetary reward to the mix. In a first-of-its-kind legal offering, at least outside of Nevada, DraftKings on Tuesday announced the launch of DraftKings Brackets ahead of the NCAA men’s basketball tournament. With it, users can fill out brackets and earn cash for correct picks. As NJ online sports betting continues to grow, DraftKings continues to find ways to stay ahead of the game. With DraftKings Brackets, users have the option to enter public or create private contests prior to the tournament, which is scheduled to tip off with the First Four on March 19. Customers anywhere in the nation can choose to enter a free-to-play bracket at a shot at $64,000 in prizes, and players in New Jersey have the option to purchase a $20 bracket for a chance at $100,000. Fans can also enter public contests or create private ones at the beginning of the tournament or join the Round of 32 or Sweet 16. According to the DraftKings announcement, more offerings could be on the way, too. “To provide customers with the most complete tournament experience available,” the announcement stated, Brackets will be integrated within the DraftKings Sportsbook via the app on iOS and Android. Using the app’s “Reserve A Seat” function, players can hold a spot in various contests until the teams are selected on March 17. The actual bracket contest is available via the DraftKings Sportsbook app only but you can reserve a seat via the browser ahead of Selection Sunday. What if NJ college teams are selected? New Jersey law prohibits sports bets on any New Jersey college team, regardless of whether the games are played within the state or elsewhere. If Seton Hall or any NJ college team does make it to the First Round of play, you can bet there will be no betting on those games even if it’s in a bracket contest such as the one DraftKings has planned. The free-to-play pool limits users to one entry per person, while the paid entry for New Jersey residents allows users to create up to 16 entries. Since online NJ sports betting launched last August, DraftKings Sportsbook has been the trendsetter. Through January, the company accumulated $37,323,647 in NJ sports betting revenue, representing nearly 54 percent of the mobile industry’s overall total. Aside from the Super Bowl, March Madness attracts arguably the most attention nationwide. Certainly, then, DraftKings wants to capitalize on it. It did so last month when it introduced Big Game Squares for the NFL’s biggest game of the year. Now, though, fans can dive even further into tournament action, courtesy of DraftKings Brackets. The New Jersey Division of Gaming Enforcement reportedly will continue to allow bets on spring training games at NJ sportsbooks despite the MLB’s request. New Jersey sportsbooks will welcome back spring training sports betting. According to David Purdum of ESPN, the NJ Division of Gaming Enforcement (DGE) has declined a request by Major League Baseball to prohibit NJ sports betting on spring training games. New Jersey Division of Gaming Enforcement has declined Major League Baseball's request to prohibit betting on Spring Training games at the state's regulated sportsbooks. A DGE representative confirmed to Legal Sports Report that the division responded last week to MLB with the denial. As a result, legal wagering on the league’s exhibition contests will continue at the state’s 23 retail and online sportsbooks. The DGE’s decision comes more than a week after the MLB sent a letter to the division asking to ban betting on spring training. The league also sent requests to Nevada, Pennsylvania, and Mississippi. The Nevada Gaming Control Board has already denied the MLB request. The league’s letter reportedly addressed several concerns the MLB had with betting on spring training games, including “heightened integrity risks“ that come with it. Certainly that worry comes with teams using minor league players along with players who ease into playing regularly rather than playing all-out right away. 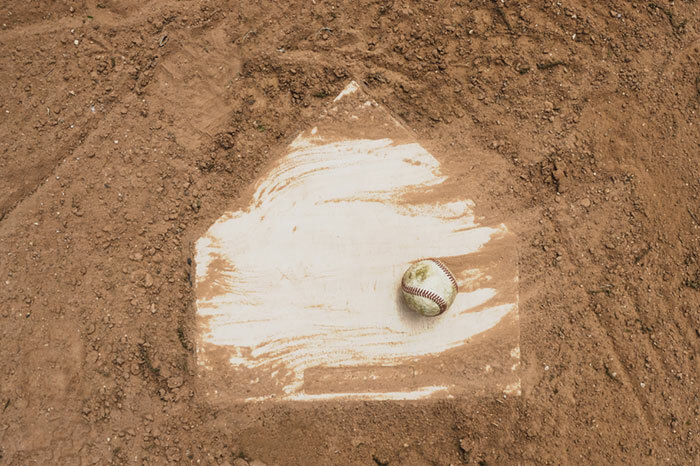 In a statement from the MLB, the league noted that “Spring Training games are exhibition contests in which the primary focus of Clubs and players is to prepare for the coming season rather than to win games or perform at maximum effort on every single play. When the DGE received the league’s letter, several NJ sportsbooks, including DraftKings Sportsbook, had begun offering lines on spring training games. 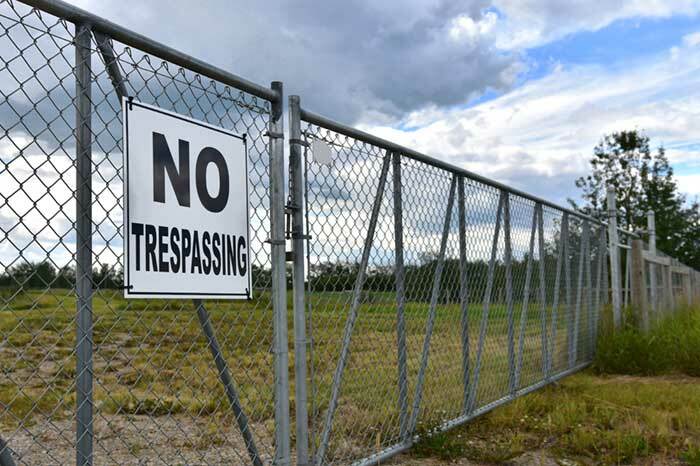 In a statement, the state’s Office of the Attorney General acknowledged that the DGE received the MLB request. To be fair, spring training does not generate much revenue. Nothing like the NFL preseason. Still, the MLB exhibition games have traditionally been offered at legal sportsbooks in Nevada. Certainly, then, other states with regulated wagering would integrate spring training. As noted, however, limits for betting on spring training remain relatively low. Any large bet on one of these games would theoretically come with a red flag. In the end, New Jersey joins Nevada in denying the league’s request to prohibit spring training baseball. After the Division of Gaming Enforcement sent a letter to OddsShark about its offshore sportsbooks, the website closed access to New Jersey residents. The New Jersey crackdown on offshore sports betting has begun. And already, it appears, the state has begun seeing results. Following a letter sent by the New Jersey Division of Gaming Enforcement earlier this month, the affiliate betting website OddsShark, which markets regulated and offshore sportsbooks, is no longer accessible by users with IP addresses in New Jersey. Boiled down: The website that caters to popular illegal sportsbooks such as Bovada and BetOnline no longer reaches into New Jersey. This marks a renewed interest of New Jersey pushing back on offshore sports betting sites. Five years ago, NJ issued a similar warning to Bovada. The DGE’s letter to OddsShark can be seen here. 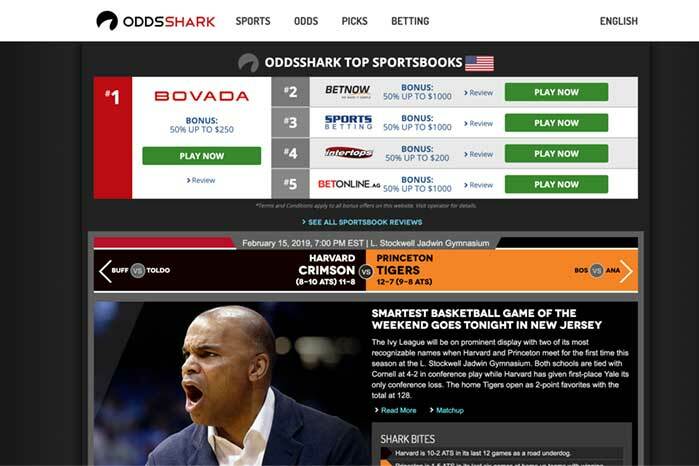 It noted that the DGE reviewed the OddsShark website and noticed it promoted authorized NJ sports betting products alongside illegal platforms such as Bovada, BetOnline and 5Dimes, among others. As such, the state warned OddsShark of potential repercussions if it continues to operate this way in New Jersey. “This letter shall serve as official notice that your website, by offering unauthorized online gaming and sports betting links, is promoting activity that is contrary to New Jersey and federal law,” according to the letter dated Feb. 9. In one of the first examples of a state with legal sports betting actually going after offshore wagering, New Jersey came out swinging. While the Garden State requested OddsShark either sever ties with those offshore books or cease operating in New Jersey altogether, the state also served a warning. OddsShark, per the letter, “may be violating the criminal laws of the State of New Jersey.” It noted that the website could be committing racketeering and illegal promotion of gambling as examples. The DGE instructed all New Jersey casinos and internet gaming providers to cease doing any business with OddsShark. OddsShark is not exactly a nobody when it comes to sports betting. Frequently, the platform is cited by various sports media when it comes to odds and lines. But the DGE is not about to let that continue. The letter cited a DGE Director’s Advisory Bulletin from June 2015, in which the division notified operators and affiliates to cut ties with any illegal partners lest they be eliminated from or prevented from joining the New Jersey market. When it comes to staying afloat, offshore sportsbooks rely on marketing and promotion from sites like OddsShark. DGE is at least forcing OddsShark to make a choice between promoting legal or illegal options. David Rebuck, director of the DGE, has long had the illegal sports betting industry in his crosshairs. In July, at the East Coast Gaming Congress, Rebuck shared how he recognized that the regulated NJ online gambling industry was already “cannibalizing the illegal online gaming market.” NJ sports betting would chip away even more at the offshore industry. Bovada, specifically, has remained at the top of Rebuck’s list. He related that gaming regulators were spending “an inordinate about of time” attempting to identify the company’s head honcho. Rebuck recognized that illegal sportsbooks are “very good at what they do,” in terms of staying operational while remaining in the shadows. But this letter, and the disappearance of OddsShark from within New Jersey, shows that the DGE, in cooperation with regulated operators and other state departments, can find ways to protect the legal sports betting industry from offshore activity. 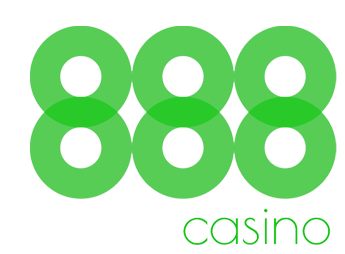 Editor’s Note: NJGamblingSites.com is an affiliate website that promotes legal online sportsbooks, casinos and poker sites in New Jersey. In the letter, New Jersey and Pennsylvania’s attorneys general call out the DOJ for a “deeply troubling” opinion on online gambling. 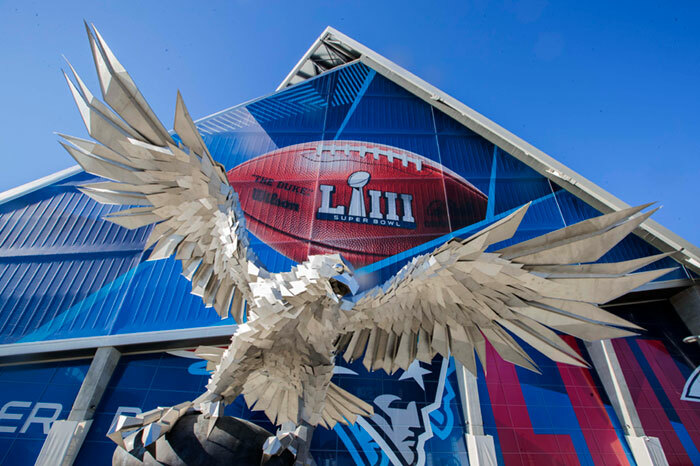 Get into the Super Bowl 2019 spirit with a rundown of the odds, lines and prop bets available at DraftKings, FanDuel and SugarHouse NJ online sportsbooks. Well, what do you know? Another Super Bowl featuring Tom Brady. On Sunday, when the New England Patriots quarterback takes the field in Atlanta for Super Bowl 53, he will record his ninth appearance in the big game. No team in league history has made that many appearances. Against the Los Angeles Rams, Brady and the Pats will aim for a sixth Lombardi Trophy in a rematch of Super Bowl 36 in 2002. Fittingly, that game, won by New England, was the last time the Rams appeared in the Super Bowl. The biggest game — nay, event — of the year is set to kick off. The two best teams (depending on your perspective) remain. So, why not have the same approach for New Jersey sports betting? For what will surely be the largest business day in the short history of NJ sports betting, the spotlight here shines on the state’s industry leaders: DraftKings Sportsbook, FanDuel Sportsbook and SugarHouse Sportsbook. Shortly after the AFC and NFC championships were decided and the Super Bowl matchup was set, the Rams opened up as a 1-point favorite at many sportsbooks. That line swiftly swayed toward New England, however. And it continues to push that direction. The Pats will be wearing white jerseys, which has done well in the past. Twelve of the past 14 champions wore white. In addition to these lines, SugarHouse offers a market on the Patriots to win 20-17, which pays +10,000. Over the past six Super Bowls, five totals hit the over. Pairing with the moneyline, the over and a New England win pays +225, while a Pats victory and the under holds the same line. LA wins combined with either the over or under pays +290. The only Super Bowl ever to need more than four quarters: Two years ago, a Patriots win. FanDuel set the first-quarter moneyline at -120 for New England to lead and +102 for the Rams. A Patriots lead would also lead to a +126 payout, as the opening-quarter spread sits at -0.5 in favor of the Pats. And a combined total over 10.5 points holds a +118 line. For the game, FanDuel’s lines for total points to be odd or even sit at -130 and +112, respectively. Odd totals have occurred 30 times in Super Bowl history, though each of the past four and eight of the last 10 have been even. Before kickoff, though, is the coin toss. Will the coin toss winner also win the Big Game? New England doing so pays +250, LA +300. The coin toss victor has also lifted the Lombardi Trophy 46 percent of the time. 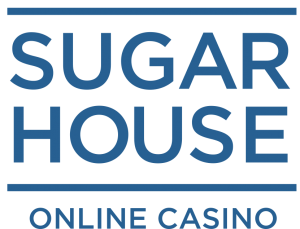 SugarHouse allows bettors to take the game one quarter at a time. For example: Will New England (+175) or Los Angeles (+220) score in every quarter? Two-point conversions apparently will be at a premium Sunday. The sportsbook projects that neither team successfully converts a 2-point attempt with a -278 line. Choosing yes, however, could lead to a +210 payout. For what it’s worth, 2-point conversions have been attempted at least once in eight of the last nine Super Bowls. Not one was successful last year. In Super Bowl 51, New England went 2-2. This is where the game can really get fun. Certainly, available are markets for which QB will finish with the most passing yards and which RB will rush for the most yardage. DraftKings’ over/under for jersey number of the player who scores the first or last touchdown sits at 26.5: +100 on the under for each market. A “Fat Man TD Special,” wherein any offensive lineman scoring a touchdown, holds a +8,000 line. And what about when the 2-minute warning break occurs. Will it happen with exactly 2 minutes on the clock? First-half no pays +400; second-half no goes for +275. At SugarHouse, the over/under on total coaching challenges sits at 1.5, with the over paying +275 compared with the -400 on the under. Any field goal or extra-point attempt hitting the uprights or crossbar results in a +350 payday should a bettor take action in that market. Of course, one of the most popular props surrounds the color of the Gatorade the winning team showers over its coach. At FanDuel, “clear” is the favorite at +100, followed by orange and yellow (+375 each), blue at +500, and red at +600. Rams RB Todd Gurley provided some insight into what LA quenches its thirst with. But he has been known to not care about betting. After all is said and done, will Pats coach Bill Belichick retire? Or Brady? Or TE Rob Gronkowski? The Belichick line, at DraftKings, pays +2,500 should he retire and -10,000 if he does not. Brady calling it quits goes for +1,400 at FanDuel, and Gronk riding off into the sunset pays +400. Oh, it’s the last of the futures for the 2018 season. Quarterbacks have claimed the Super Bowl MVP 29 times in history, and the only non-signal-callers to win the award since 2009 were linebackers. Heck, a running back hasn’t won it since 1998. Three receivers and a safety have done so since the last RB winner. Anyway, SugarHouse offers a market for bettors to wager on which position will win the MVP, and QB is heavily favored at -286. A running back or fullback pays +500; a defender goes for +800. Below are the top contenders, according to sportsbooks, for the Super Bowl MVP. To boot, the 10th and 11th mobile sportsbooks hit the Garden State airwaves this week, as Hard Rock Atlantic City soft-launched its online product followed shortly thereafter by Resorts Atlantic City rolling out its platform.